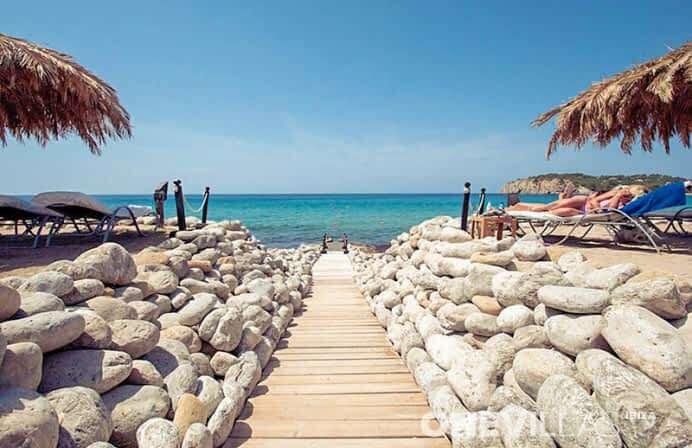 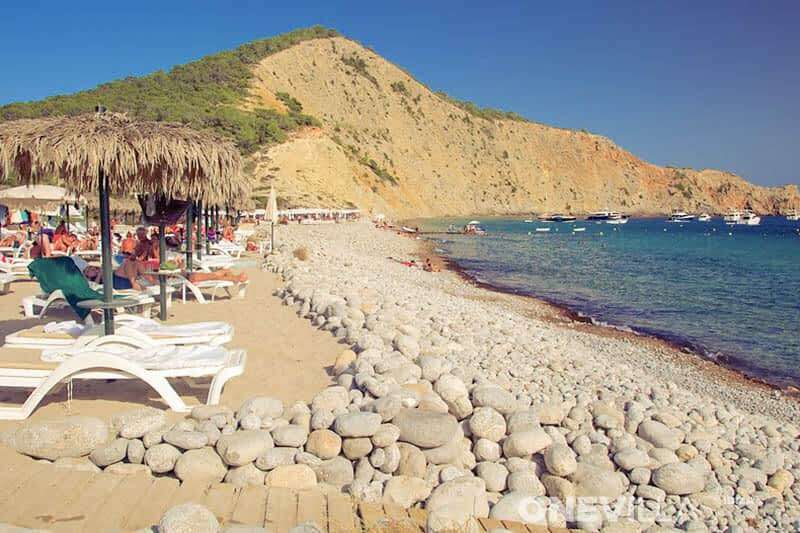 Cala Jondal | Rent a house or luxury holiday villa in Ibiza! 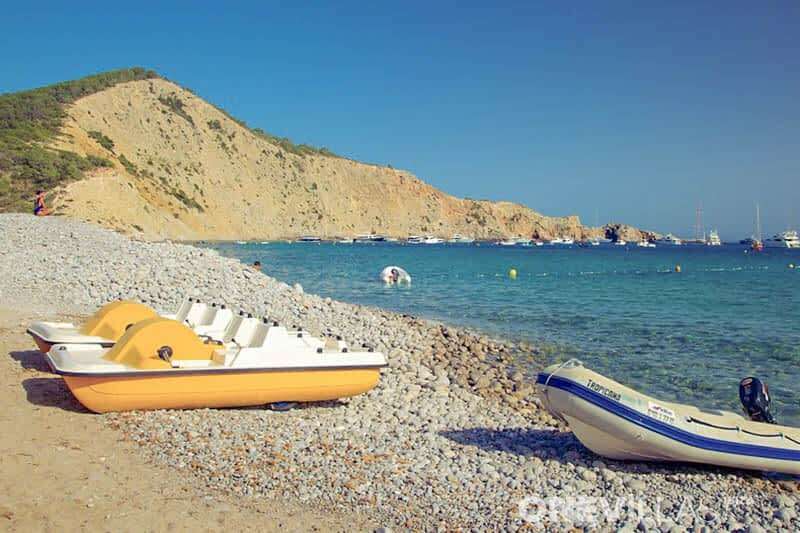 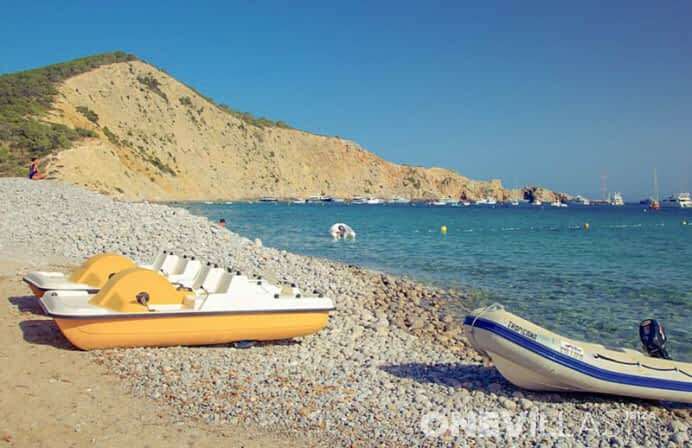 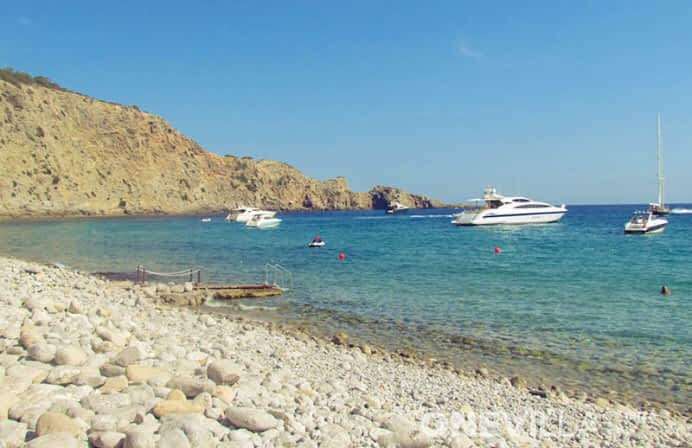 Cala Jondal is a very beautiful and fashionable beach surrounded by pine trees and jagged rocks, very popular with boat owners. 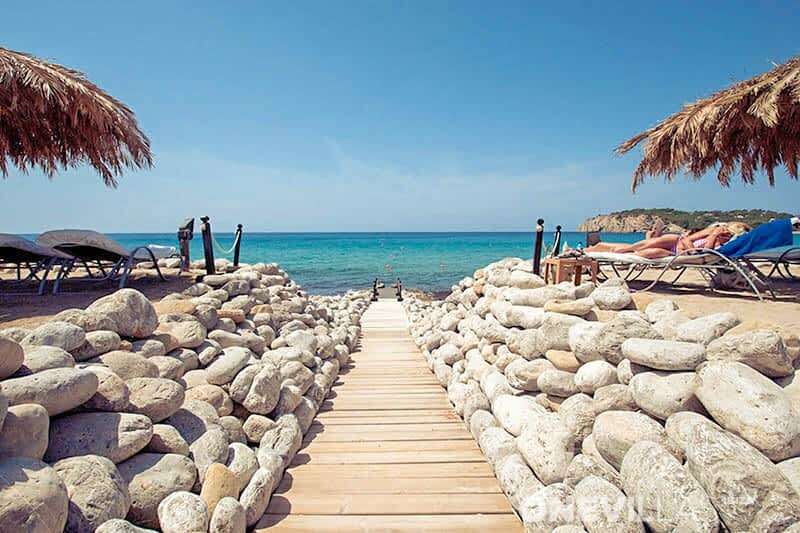 There are three restaurants where life is good. 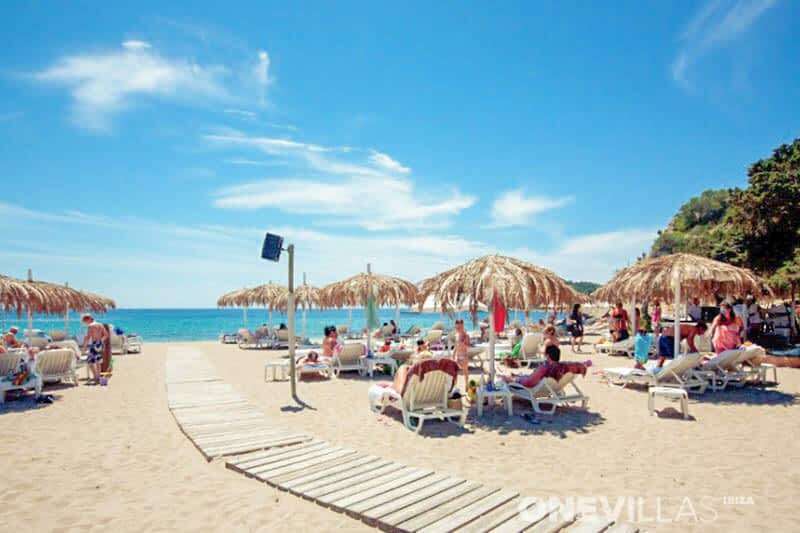 You have the famous Blue Marlin in the middle of the beach, Tropicana in the west and Yemanja left of the Blue Marlin. The cocktails can also be brought to your boat. 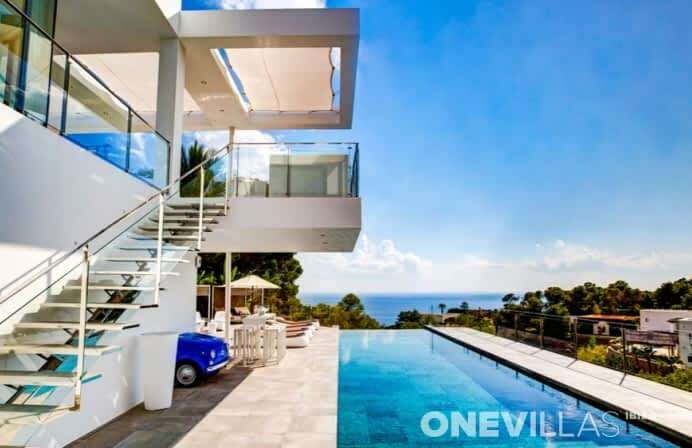 There are a number of luxury villas in the hills behind the beach. 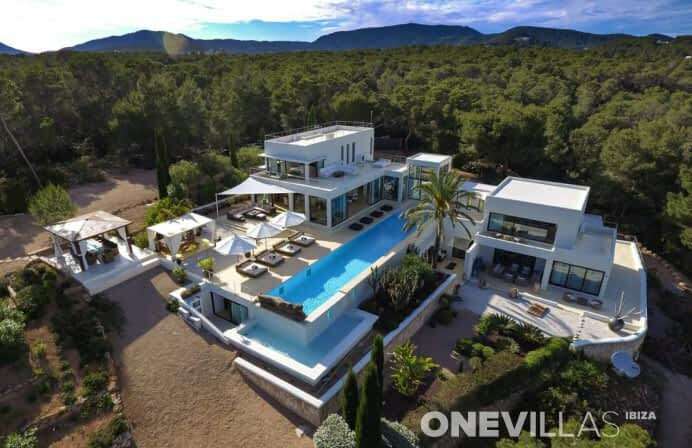 This really is a hangout for the rich and famous. 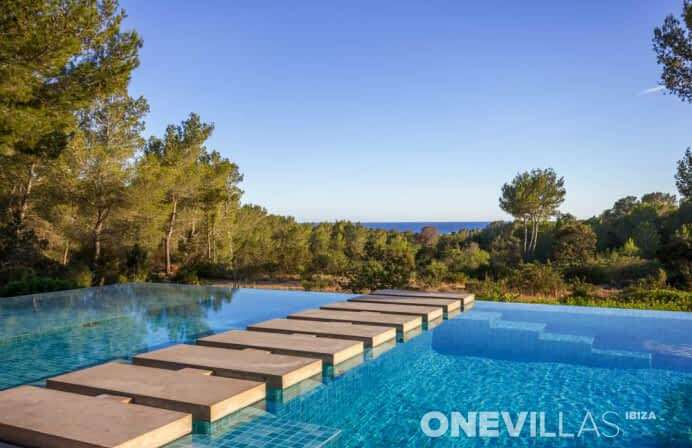 Location: 15 minutes drive from Ibiza town. Facilities: Lounge beds, umbrellas, showers, bars and restaurants, lifeguards and handicapped accessible.